Eagle Rock Entertainment has announced that two icons of rock, Alice Cooper and Elton John, will be showcased in June and July with new DVD and Blu-ray product offerings. 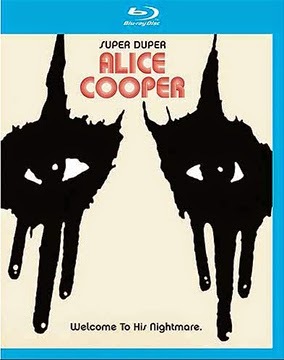 Arriving at retail on June 3 will be a three-SKU helping of documentary filmmakers Sam Dunn, Reginald Harkema and Scott McFadyen’s Super Duper Alice Cooper, an insightful look at the life and career of Vincent Damon Furnier (aka: Alice Cooper). The SKU mix includes both DVD and Blu-ray editions, plus Eagle Rock Entertainment is also delivering a Blu-ray/DVD Combo Pack “Deluxe Limited Edition,” which includes both a bonus DVD of previously unreleased concert footage from Montreal University in 1972 and a bonus CD of Alice Cooper’s performance at the 2009 Montreux Jazz Festival. 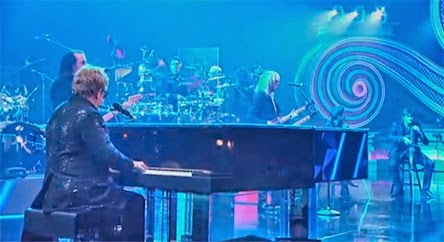 July 1 will be an eventful date this summer for fans of Sir Elton. 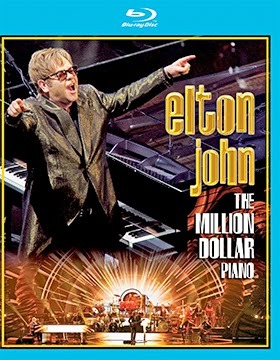 That’s the street date selected by Eagle Rock for the live concert presentation of Elton John: The Million Dollar Piano. 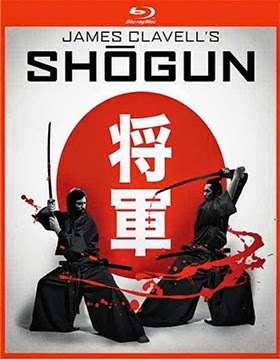 Paramount Home Media Distribution announced this past week that James Clavell’s 1980 blockbuster TV mini-series, Shogun, will be getting a Blu-ray push on Aug. 5. A five disc Blu-ray set is planned. Since the series was originally filmed in 35mm (the late Andrew Laszlo was the Cinematographer — Star Trek V: The Final Frontier, Streets of Fire, Thieves, etc. ), Paramount will be working with some pretty choice material for the MPEG-4 AVC, 1080p presentation. It should pop! 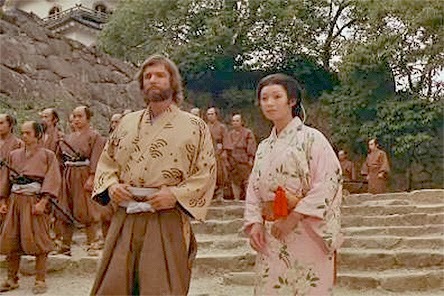 Shogun won both the Emmy for Best TV Series – Drama and the Golden Globe for Outstanding Limit Series … additionally Richard Chamberlain and Yôko Shimada won Golden Globes for Best Actor and Actress respectively and were nominated for Emmys in both categories. In all, this landmark television series captured three Emmys. Bonus features announced thus far include commentary by series director Jerry London the featurette titled “The Making of Shogun” and series (unspecified) of featurettes focusing on the “Historical Perspective” of the series. In other August home entertainment release news this past week from Paramount Home Media Distribution we find that Aug. 5 is also the street date for a four-disc DVD collection of Awkward: Season 3 and a double-disc DVD presentation of Californication: The Seventh Season. The following week, Aug. 12, there will be two five-disc DVD sets of Gunsmoke: The Tenth Season, Volume One and Gunsmoke: The Tenth Season, Volume Two. Plus Aug. 12 also brings to market the DVD debut of the labor-of-love documentary from producers Randall Lobb, Isaac Elliott-Fisher and Mark Hussey, Turtle Power: The Definitive History of the Teenage Mutant Ninja Turtles. Five-years in the making, with over 100 hours of extensive interviews to draw from and the goal of providing “the most complete history of this amazing phenomenon,” this should be a real treat from TMNT fans worldwide! Indican Pictures has tabbed July 8 as the DVD debut date for actress, writer, producer and director Livia De Paolis’ Emoticon ;). Blessed with a cast that includes Sonia Braga, Carol Kane and Michael Cristofer, we are introduced to Elena (De Paolis), a thirty-something grad-student working (struggling with) on her thesis — something about “the modern means of communication” — who finds herself in a relationship with (read: the latest younger “girlfriend” of a much older man … ) Walter (Michael Cristopher). He is a wealthy New Yorker who has had little time for relationships that last or the baggage of family that goes with such things. Indeed, his “family” consists of not one, but two adopted teens and an ex-wife who is even more self-obsessed than he is. Luke (Miles Chandler — The Longshots, The Education of Charlie Banks) and Mandy (Diane Guerrero — as Maritza in the TV series Orange Is the New Black) view Elena with contempt … she’s just another “bimbo” in a long a string there of — “ladyfriend,” not “girlfriend” since she is older than the last couple of relationships that their father has had. That’s your setup and quite frankly, in the early going, you are left to ponder where writer/director Livia De Paolis is going to take both her character and the story. It seems like a recipe for disaster … a young woman, taking too long to finish her doctorate, in a doomed relationship (count the weeks, or days until Walter becomes bored with her) and clearly adrift in where her life is going. But with Emoticon ;) we get some pleasant twists, Elena becomes a better friend/mentor to the teens (who have issues) than their mother and the potentially cardboard Walter proves his worth when an unexpected personal crisis threatens to overwhelm Elena. Mill Creek Entertainment has tabbed July 22 as retail release date for six new Blu-ray releases … all priced to collect at just $9.98 each. Leading the pack is director Matthew Robbins’ 1985 action hit, Legend of Billie Jean: Fair is Fair Edition, which teamed Helen Slater with Christian Slater and Peter Coyote. A DVD SKU will also be available on the same date and bonus features for the Blu-ray and DVD editions include commentary by actor Helen Slater and Yeardley Smith. Also getting both DVD and Blu-ray action July 22 is filmmaker Phil Joanou’s 2006 film starring Dwayne 'The Rock' Johnson, The Gridiron Gang. Blu-ray only product offerings are Anaconda (1997 starring Jennifer Lopez, Ice Cube, Jon Voight and Eric Stoltz), Donnie Brasco (also from 1997 and teaming Johnny Depp with Al Pacino), Flatliners (director Joel Schumacher’s 1990 horror smash with Julia Roberts, Kiefer Sutherland, Kevin Bacon and William Baldwin) and Last Action Hero (1993 starring Arnold Schwarzenegger). 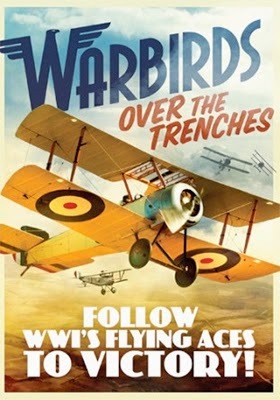 On the DVD release front from Mill Creek Entertainment during the month of July, look for three collections with a special focus on World War I: The Great War: 1914-1918 - A Year-by-Year Account of WWI (a double-disc set), Warbirds Over the Trenches (also two discs) and World War I: 100th Anniversary Collection (a massive six-disc assembly featuring 20 different documentaries on the “War to End All Wars”), This will be available to own on July 8. On July 15 the first two DVD SKUs featuring child star Gary Coleman as Arnold will be available to own at just ($9.98 each) —Diff'rent Strokes: The Complete First Season and Diff'rent Strokes: The Complete Second Season (both are double-disc sets). The same date, July 15, marks the DVD debut of the three-film collection titled Fast as Hell. Included here are three films from H.B. Halicki — The Junkman, Deadline Auto Theft and Gone in 60 Seconds II. SRP is just $14.98 for the trio. An inspired homage to director Ricky Lau’s 1985 franchise launch of the Mr. Vampire series is what is in the offing on July 8. That’s street date that Well Go U.S.A. has selected for Blu-ray and DVD editions of actor-turned-filmmaker Juno Mak's Rigor Mortis (presented in Cantonese with English subtitles). Once famous actor (and vampire hunter) Chin Siu-Ho (Siu-Ho Chin — who starred as Chou Sheng in the original Mr. Vampire film) checks into one particular room — which he believes to be haunted — at a rundown tenement in Hong Kong with one purpose in mind. He plans to kill himself. But as events unfold after a failed attempt at doing himself in (yes, the room is in fact possessed by some pretty creepy spirits) and he subsequently crosses paths with a few of the bizarre fellow residents of the place (and we mean Bizarre with a capital B), his old instincts for taking on bloodsuckers just naturally kicks in and the war is on! Warner Home Video added three new selections to its Blu-ray release library this past week. 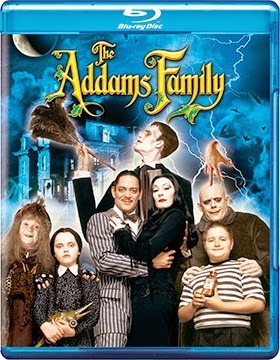 Selected for delivery to retail on Sept. 9 are director Barry Sonnenfeld’s 1991 film release of The Addams Family (starring Raul Julia and Anjelica Huston as Gomez and Morticia) and Lemony Snicket's A Series of Unfortunate Events. The latest original animated Batman feature thriller — from the directing team of Jay Oliva and Ethan Spaulding — Batman: Assault on Arkham, will be launched on Aug. 12 as a two-SKU product offering. It could have been titled Nowhere, One-Horse Town or Timbuktu, all of which more or less refer to a backwater burp of no particular significance. On a cross-country car trip it would be an exit sign that breezes by … another mile maker down, another one to go. So when you hear that Ariztical Entertainment has tabbed June 24 as the DVD debut date for director Aaron Douglas Johnston’s Bumblef**k, USA, you probably have an image in your mind that we are on our way to some small town where nothing much happens. You’d be half-right. Muscatine, Iowa (about 20 miles down the Mississippi River from Davenport) is a small town to be sure, but there is plenty happening there. One suspects that filmmaker Aaron Douglas Johnston (this was his debut film in 2011) wrote and directed this well-crafted slice-of-life story based on personal experience. There’s not a false note here and it is well-worth a look (like a roadside attraction … stop, enjoy, you might learn something). Alexa (Cat Smits) is from Amsterdam, who has come with nothing more than the clothes on her back and a camcorder to this no-where town to find out why her friend Matt killed himself. He was gay … he tried to fit in, but in the end the pressure was just too much. She is an outsider, but she gets people to talk, especially other gays living in a place that is not all that friendly to those who are different … or, perhaps, not so different as she discovers in townie Jennifer (Heidi M. Sallows). Bonus nuggets here include a very insightful extended video interview session with cast members Cat Smits and Heidi M. Sallows. Walt Disney Studios Home Entertainment is getting an early start on the Christmas-selling season with a pair of August release dates for two of its recent theatrical outings. With Captain America: The Winter Soldier a likely post-Labor Day anchor product offering (plus whatever else might click this summer … Million Dollar Arm, Maleficent, Planes: Fire and Rescue, etc. ), room has to be made so both Need for Speed and Muppets Most Wanted get long-lead announcements for delivery to retail in August. 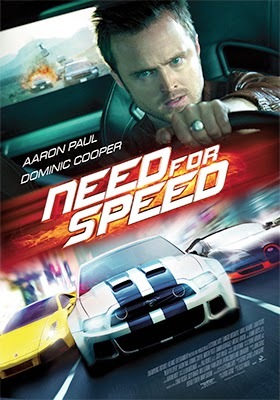 Streeting Aug. 5 is director Scott Waugh’s crime thriller, Need For Speed, starring Breaking Bad’s Aaron Paul. A Blu-ray/DVD Combo Pack and a stand-alone DVD edition are planned . The ARR is 144 days and the box office take was a nice $43.2 million. Bonus features include the featurette titled “Capturing Speed” … exclusive to the Blu-ray SKU are commentary from filmmaker Scott Waugh and actor Aaron Paul, outtakes, four deleted scenes and two additional featurettes. 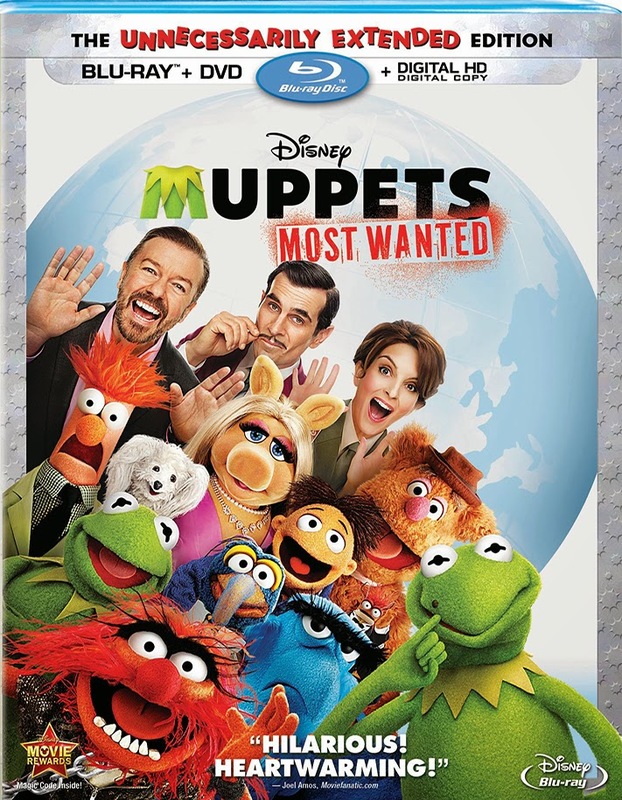 Director James Bobin’s latest adventure featuring Kermit the Frog, Missy Piggy and the rest of the Muppets, Muppets Most Wanted, will head home the following week, Aug. 12. The ARR for DVD and Blu-ray/DVD Combo Pack editions also works out to 144 days and the box office tally was a soft $50 million (his previous, The Muppets, in 2011 pulled in over $88 million — clearly Amy Adams is a better draw than snarky SNL alum, Tina Fey). 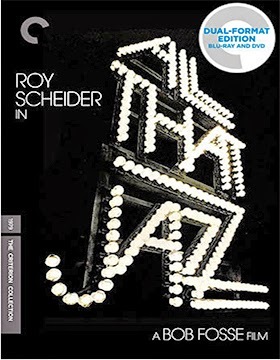 The Criterion Collection unveiled its August release calendar this past week and leading the summer parade of film treasures is the Aug. 26 restoration of director Bob Fosse’s 1979 brilliantly-staged, but oh so bittersweet bio pic starring Roy Scheider, All That Jazz. Blu-ray/DVD Combo Pack and DVD (double-disc) SKUs are being offered and bonus features included two commentary options, one with Roy Scheider (“scene specific”) and one with film editor Alan Heim (Oscar-winner for his work here). Plus there is a featurette titled “Razzle-Dazzle” as well as newly-prepared video interviews with both Heim and Bob Fosse biographer Sam Wasson. Also on the schedule are auteur filmmaker John Cassavetes’ 1984 film release of Love Streams (teaming him with Gena Rowlands) … Blu-ray/DVD Combo Pack and double-disc DVD editions are planned (bonus features include a newly-prepared commentary from documentary filmmaker Michael Ventura, who did I'm Almost Not Crazy: John Cassavetes - The Man and His Work). Aug. 19 brings the Spanish-language imports, Tie Me Up! Tie Me Down! and Y Tu Mamá También (both are being presented as Blu-ray/DVD Combo Packs and double-disc DVD SKUs). The month concludes on Aug. 26 with the aforementioned All That Jazz launch and the Blu-ray only release of Japanese filmmaker Shôhei Imamura’s 1979 film, Vengeance is Mine. Virgil Films & Entertainment announced two new home entertainment selections this past week that will be ready for delivery during the month of August. Life is messy and rarely are the plans made and the paths taken lead to their intended destinations. That’s the message that writer/director Walter Strafford has for Doug (Brian Geraghty — Boardwalk Empire, The Hurt Locker, etc.) 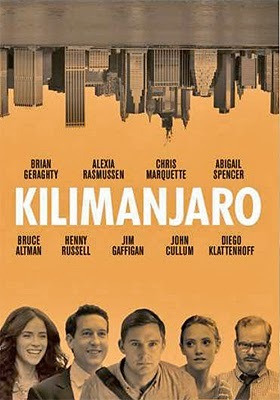 in the Aug. 12 DVD debut of the comedy, Kilimanjaro. Always have Plan B at the ready! Doug is a New Yorker. Up and coming, nice career-oriented job, well-educated and with a beautiful love interest that comes in the form of Clare (Alexia Rasmussen — California Solo, Last Weekend, etc.). Life is good … damn near perfect. But there’s this nagging little thing gnawing somewhere in the back of his mind, “maybe this isn’t what I really want to do.” So when Clare wants to takes things to the next level, Doug finds himself taking the “leave me” part of the “love me or leave me” proposition to heart. He asks his boss for time off. The answer is, of course, no. So does he take this new life-path? Tell his boss to pound sand? Does he go to Africa and live his dream? Will the new girl, Yvonne (Abigail Spencer), whom he has met while “training,” be the answer? And what about his parents … how does he break the news to them that he’s tossing everything in his life away so that he can go climb some stupid mountain half-a-world-away? If you are expecting the obvious, don’t. Kilimanjaro isn’t some nice-and-neat romantic comedy with an all-too-obvious ending. Just remember, Plan B! That’s what life mostly is … Plan B. The following week, Aug. 19, Virgil Films and Entertainment has documentary filmmaker Brent Hodge’s offbeat look at the world of “The Bronies” in the DVD debut of A Brony Tale. Ashleigh Bell has made quite the impressive career as a voice talent. She’s been “Oopsy Bear” with the Care Bears: Adventures in Care-A-Lot animated series, “Plum Pudding” in the Strawberry Shortcake's Berry Bitty Adventures and “Allura” in Voltron Force. She has even been a whole series of creatures on Dinosaur Train, but the one series that yielded the most fans was her voice performance as “Applejack” in the popular My Little Pony: Friendship Is Magic animated series. She has legends of Brony fans. For the uninitiated, a “Brony” is an adult male (18 to about 35) who have become enamored with the My Little Pony: Friendship Is Magic series. They hold conventions (worldwide), write stories and songs and create art and also raise money for charitable causes … all of these activities are derived from their “appreciation” for the series, which is actually targeted for young girls. With camera and crew in tow, Brent Hodge followed Ashleigh Ball to BronyCon in New York City to see what all of the hubbub was about. What she found was very unexpected … so come along and see for yourself on Aug. 19!